The crisis in news gathering and dispersing isn’t about newspapers. It’s about news gatherers. News is produced by reporters and editors who are expensive and in a congenitally inefficient business. It’s about hanging out, being there, being everywhere. Watching and writing about what happens if and when something does. Their management’s response so far to saving newspapers has been to reduce the numbers of reporters and editors, which saves money and diminishes the coverage which is the reason for their existence. What the country needs is more reporters in more places reporting on more things and fulfilling the essential journalistic function of making the powerful turn square corners and giving the unpowerful the information to call the powerful to account as, if, and when necessary. Except the revenue flows needed to pay for them aren’t flowing the way they once did. The traditional combination of subscribers and advertisers no longer works. Advertisers have gone elsewhere. Subscribers are getting their news from the free sources provided by the suicidal newspapers which give away what they should be selling and/or the faux sources that litter the blogosphere. Newspapers are shrinking, disappearing, merging, going broke, and what Jefferson described as the sine qua non of democracy is more non than ever. There are sporadic responses from the increasing numbers of no longer working journalists. 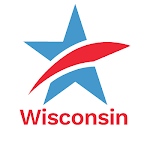 A group of Wisconsin writers who specialized in environmental coverage (one of the first non-essential specialties to get the axe) is trying to expand and distribute through other, as yet undecided, means news about this subject. A former investigative reporter is assembling a group of the newly outsourced in hopes of rebuilding this really essential and really expensive journalism and selling it back to whatever remains of the newspaper business. These I know about. Other news substitutes are probably being spawned as well. Maybe this is the future. A free-standing collection of news gatherers whose work is available, at a price, to whatever media survive the advertising holocaust. It is possible, it may even be desirable, that the news business will find something akin to the iTunes solution that has brought order and money to the people who create and perform music, another sector that was in a kind of Internet-induced chaos not so very long ago. It is even possible that the terminal newspaper business will face the realities and find new ways to get paid for what it produces and, at the very least, quit giving away with one hand what it is trying to sell with the other. This imperfect democracy has survived wars, depressions, natural disasters, chicanery, even stupidity, but a largely uninformed, ignorant, inattentive populace can bring it down. Save the reporters so they can save the country? I think so. Save the news gatherersTweet this!